View More In Exfoliators, Polishes & Scrubs. Double filtration device, easy to clean, prevent the obstruction into the interior of the machine effectively Suitable for different kinds of the skins, also sensitive skin. No excitability, no stabbing pain, no need to anesthetize. 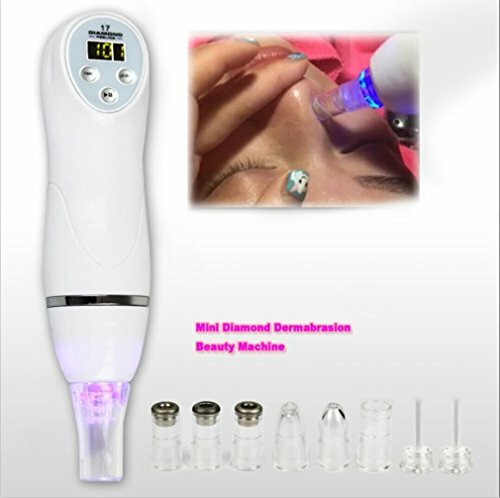 By physical micro dermabrasion, easily controlled, no side effect, safety. Non-invasive treatment, no excitability, no pain. 3 different size vacuum treatment heads: Double ﬁltration device, easy to clean, prevent the obstruction into the interior of the machine effectively Suitable for different kinds of the skins, also sensitive skin. Remove the aging keratin, Avoid skin cells excessive accumulation, keep the skin Smooth and delicate，Accelerated remove the skin surface dust pollutants radicals which easy to hurt the cell, Enhance the cell's natural defense. Avoid the collagen fibers denaturing. If you have any questions about this product by BeautyCC, contact us by completing and submitting the form below. If you are looking for a specif part number, please include it with your message.